I suspect that there is only a small window during which children LOVE doing chores and having responsibilities. Katie is at that age right now. Like most preschoolers, she thrives on being assigned tasks that she can see through to completion and she is blossoming from that feeling of accomplishment. Not ones to miss an opportunity, we capitalized on this new urge to contribute and bought her a chart to help track her progress. We chose some things that she can easily handle…things she does on a daily basis already…and added in some things that we would like her to strive for (putting toys away, please!). Each week, we’ll change up her goals to keep them fresh and interesting for her. Our routine this week has been to sit down each evening and review her day. We read through her responsibilities and discuss how she did…the ways in which she excelled or struggled a bit. The joy on her face when she marks off each of her goals is one of the highlights of my day. 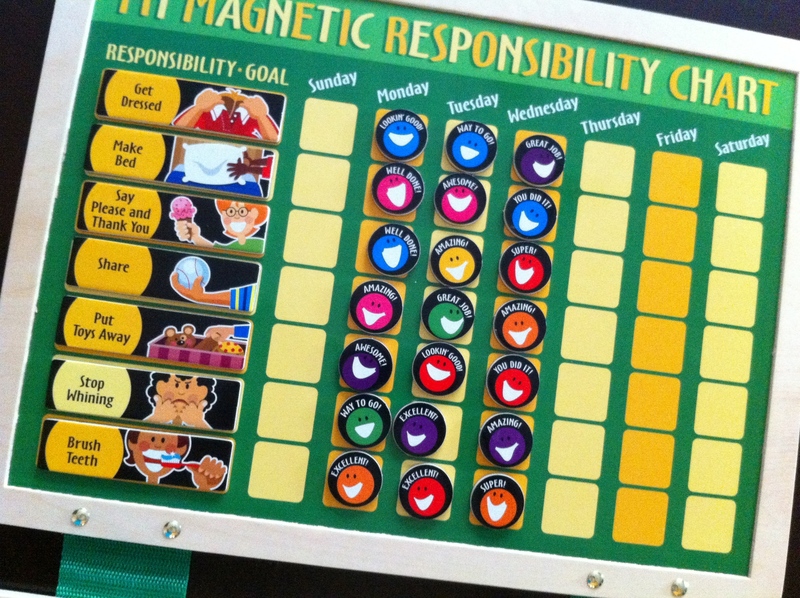 What chores do your children tackle? I’m so curious to know how long this will last and if there’s a trick to nurturing Katie’s desire to contribute. Please share your experiences with me! We bought Katie’s chart at my friend Kerri’s amazing boutique, Starlight Starbright, which is on Facebook if you want to go like it! They Let Her Do WHAT? I’m completely fascinated with the recent story of Abby Sunderland’s rescue from her damaged sailboat while attempting to circumnavigate the globe. She was in a sailboat, by herself, in the stormy Indian Ocean! She was stranded for three days! Under what circumstances would I allow one of my children to attempt such an endeavor? Over my dead body. That’s when. To be fair, one of my biggest weaknesses as a parent is my difficulty in letting my children take risks. I’ll admit that I am at the extreme opposite end of the spectrum from Abby’s parents. I don’t let Katie play in our fenced-in yard by herself. I don’t let her eat grapes unless they are cut into four pieces. I won’t leave the room if she’s bathing. They let her attempt to sail around the world. Alone. And, I’ll repeat it, she is 16! While I admire parents who allow their children the freedom to explore their world, I can’t comprehend the Sunderland’s decision to allow their daughter (and their son, who attempted the same journey last year at age 17) to take such a risk. There has to be a happy medium doesn’t there? Remembering to find a balance is something that I work on every single day. Thank you, Tiffany, Amy, and Jen! While I applaud the Sunderlands for encouraging their children to take on challenges, I can fathom neither the magnitude nor the danger associated with their choices. Anyone want to share their thoughts with me? Do you agree with the Sunderlands choice? How much risk is too much?